So you want to clean dad’s chair before the holiday comes in. We don’t blame you… it probably doesn’t smell great, and it looks a little worse for wear. But he loves it. So before you Google for “upholstery cleaning near me”, take some time to understand the basics of cleaning old or antique upholstery. You may find that upholstery cleaning isn’t as intimidating or challenging as you thought..
First, a Warning: Don’t Beat Your Antiques! 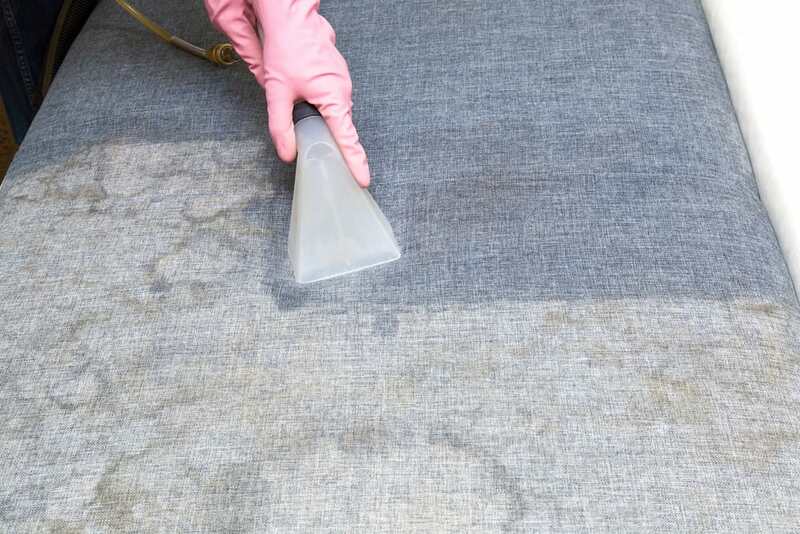 There is an old wives’ tale out there that suggests beating dust and other debris from your upholstery is a good way to remove those particles easily. We say that if you don’t actually care about the condition of your vintage upholstery, especially upholstery on an antique piece of furniture, then go ahead and beat it. However, if you want to maintain the original quality of that furniture, then we suggest you refrain from hitting it with anything. Striking furniture with a whisk or beater doesn’t really remove significant dirt, regardless of the kind of fabric it is. Your first step is the easiest. First, clean surface dirt from the old upholstery. This can be a little tricky, depending on the age and condition of the fabric, but for the most part a vacuum with a gentle upholstery brush should do the trick. Just a gentle brushing with a the handheld brush will typically result in a solid surface cleaning. Note that you don’t want to use anything with harsh bristles, as this can loosen fabric or exacerbate existing issues in the upholstery itself. Once you’ve done an initial surface cleaning, then go ahead and let your furniture air out. This can be accomplished in an enclosed but open space in your home, especially a place with open circulation. While this step is less necessary for furniture that hasn’t been used heavily (or furniture that hasn’t been sitting in musty storage spaces), it always helps with any “old” smells that sometimes accompany antique furniture. Steam Cleaning is easy and gets deep dirt out of fabric. Steam cleaners are typically available for rent, easy to use, and don’t cost much. However, using hot water on older fabric can prove problematic if it causes the fabric to shrink or weaken. And, as stated above, using chemicals can prove to be a problem as well, so always test. Extraction foam cleaning, a “dry” method, is also an option. Using specialty cleaning foams, you can directly apply the cleaning agent to the fabric without direct water contact. Them after a period of time (typically outlined by the product) you can gently remove the cleaner with a dry or wet cloth. This method isn’t truly “dry,” but doesn’t require heated water or high-pressure cleaning. It does carry the same issues as any cleaning agent, however, so test on an unobtrusive location on the furniture. Clean stains and sports immediately when they happen. Don’t eat or drink on upholstered chairs to avoid smelly and unsightly stains. Don’t smoke cigars, cigarettes, or other tobacco products on or near the furniture to avoid lingering smells. Keep the furniture out of direct sunlight if possible, as the UV rays can damage the upholstery and lighten the coloring. Don’t jump on or scoot furniture around. Following some of these basics, you can take dad’s old chair and make it look and smell as good as new. However, just because you can doesn’t mean that you always will, and that is in part because different fabrics, cleaners, and techniques produce different results. When in doubt, go with the pros. Call your trusted professional cleaner to give you an estimate on how to clean dad’s old chair without damaging it. The peace of mind is worth the cost.